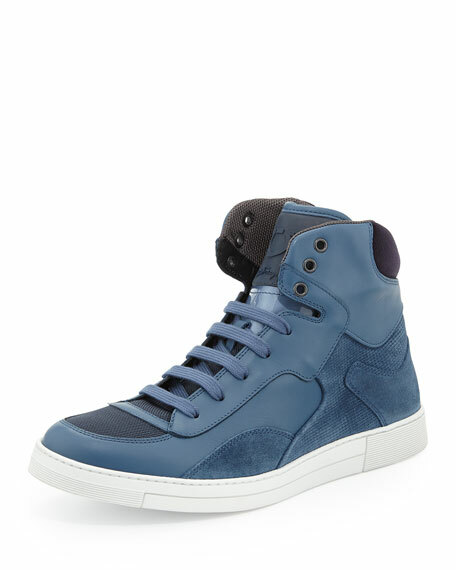 Applying Italian luxury to a classic sneaker style, the Salvatore Ferragamo Stephen high top bears subtle signatures like Gancini embossing at the tongue. 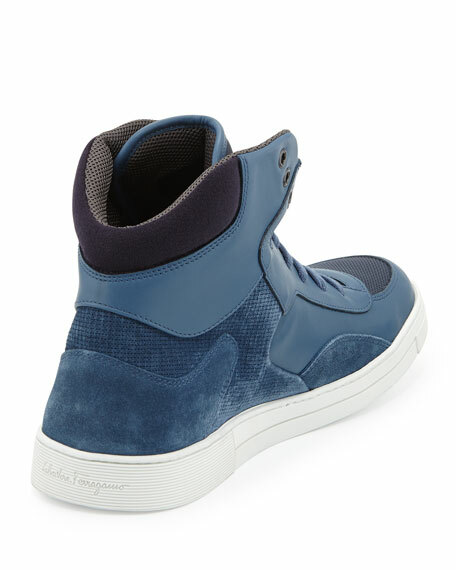 Salvatore Ferragamo leather, suede, and mesh sneaker. 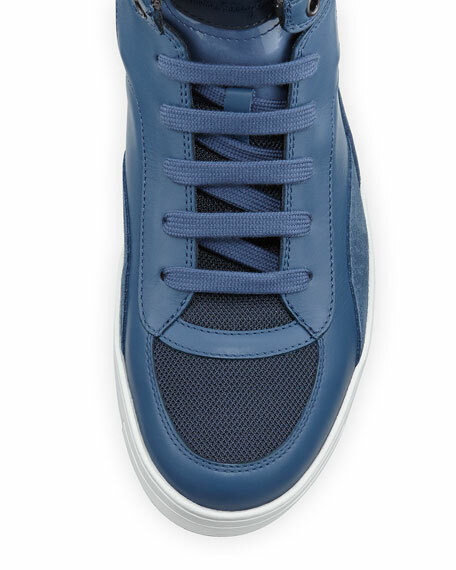 Lace-up front; Salvatore Ferragamo Gancini logo patch on tongue. 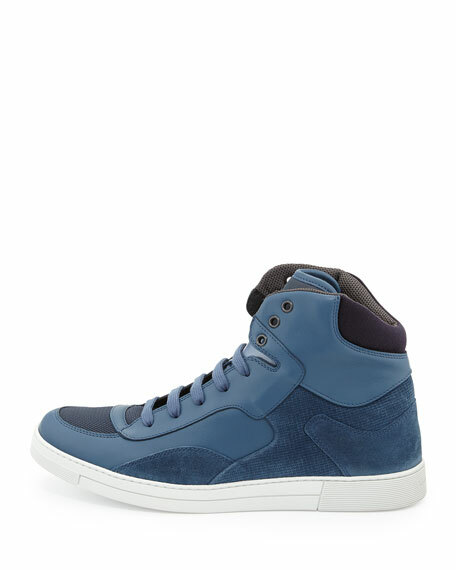 For in-store inquiries, use sku #298196.